TUESDAY, March 1, 2016 (HealthDay News) -- Price and laboratory ratings don't indicate whether a football helmet is better at protecting high school players from concussion, a new study suggests. 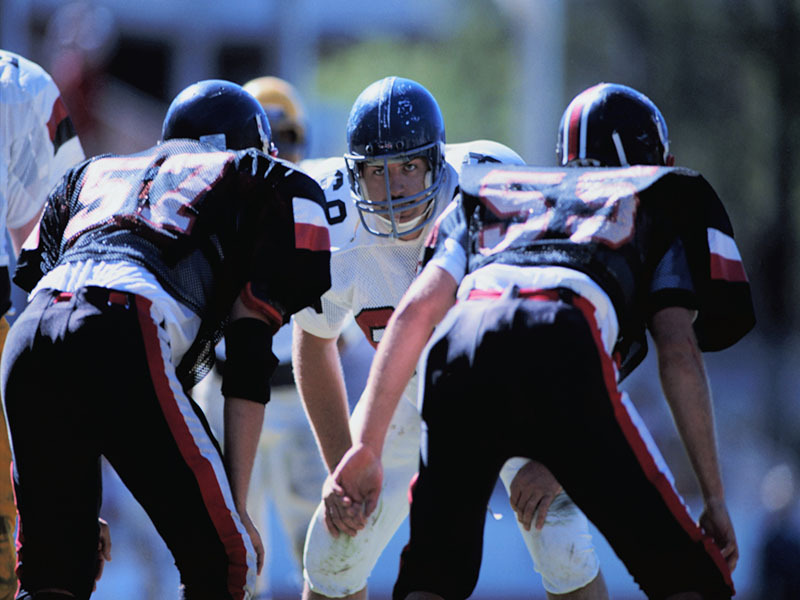 When University of Colorado researchers evaluated helmets and U.S. high school concussion data, the only difference that emerged concerned helmet age. Older helmets that had not been reconditioned provided less protection than newer or recently reconditioned helmets, the study found. "All of the approved helmets evaluated in our study performed similarly. Increased cost does not necessarily translate to improved safety," said study senior author Dawn Comstock, an associate professor at the university's School of Public Health. She and her colleagues also reported that helmets with higher ratings in laboratory tests did not necessarily provide better protection for players. "We found helmets with high ratings performed similarly to helmets with lower ratings," Comstock said in a university news release. For the study, the researchers examined nationwide helmet and high school football player concussion data gathered from 2008 to 2013. The average number of concussions, length of recovery, and time until a player returned to play were similar among players wearing the most common helmet makes and models, regardless of price. All of the helmets had a National Operating Committee on Standards for Athletic Equipment (NOCSAE) seal, a requirement for high school football use. The study found that old helmets that had been reconditioned within 12 months before use offered similar levels of protection as new helmets. However, players who used old helmets that had not been reconditioned recently had concussion symptoms for a longer period of time than those who wore new helmets. Parents of high school football players need to ensure their children are using safe helmets, Comstock said. "Many parents don't think to ask if the helmet issued to their child is new or previously used or, if not new, when it was last reconditioned," she said. "Parents should be asking questions and not assuming that the helmet assigned to their child is safe." The study was published online recently in the American Journal of Sports Medicine.